Laura Lynch used to check at least one bag on every trip, but that changed when she realized how much those bags were weighing her down. On a separate trip to Argentina in the same year, 2009, she ran into another luggage mishap: Suitcases for Lynch and her husband didn’t arrive until five days into their trip. Those two events inspired Lynch to start packing light. These days, Lynch — formerly based in Seattle and now living in London — travels with a backpack weighing only about 13 pounds for five- to seven-day trips. On her blog, she writes about how she made the transition. To be sure, radically downsizing your bag, as Lynch has done, isn’t always easy. But for travelers able to go with less, packing light can pay off in a big way. In the popular book “The Life-Changing Magic of Tidying Up,” organizational guru Marie Kondo writes about how discarding unnecessary items and keeping only what “sparks joy” for you can improve your life. The principle is true for downsizing your luggage: A lighter bag can make your next trip less stressful and more joyful — sometimes in unexpected ways. For Jesse Smith, founder of the blog Loophole Travel, packing light is a matter of convenience. “I’ve always hated waiting at baggage claims. That’s a huge reason I don’t like checking bags,” says Smith, who published his one-bag packing list. Smith, of Kansas City, Missouri, recently traveled to eight countries, 12 cities and four island chains on a monthlong trip with his wife, who also blogs for Loophole Travel. The couple brought only backpacks on the trip — no suitcases. Because they don’t check bags, they also don’t need to pay checked-bag fees when flying, which typically run about $25 per bag. At some point on your trip, you’ll most likely have to carry your luggage around. When that happens, it’s nice to have a light load. 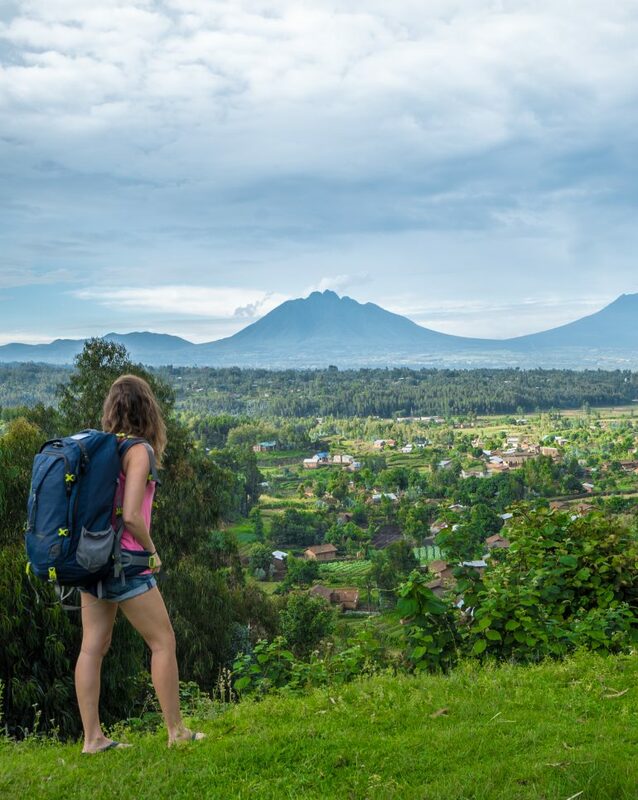 “I travel with backpacks, just because in so much of the world you can’t count on there being elevators or smooth sidewalks,” says Kristin Addis, CEO of Be My Travel Muse, who made a video about how she packed light for her travels in Southeast Asia. “Even in Berlin, where I live, it’s just cobblestone, and that’s very annoying with the rolling suitcase.” Formerly based in Newport Beach, California, Addis has traveled around the world with just a backpack. At the time of the interview, she was traveling in Bangkok. Lynch also finds it easier to travel with a backpack. On a recent trip to Venice, Italy — a city with many stairs and bridges — Lynch noticed that many travelers with heavy rolling bags had trouble carrying their luggage. “Having to lug and pull or get on and off the trains with luggage — that’s something I’ll never do again,” Lynch says. If your suitcase is always crammed with stuff — clothes, toiletries and souvenirs — figuring out how to cut back can be a daunting task. 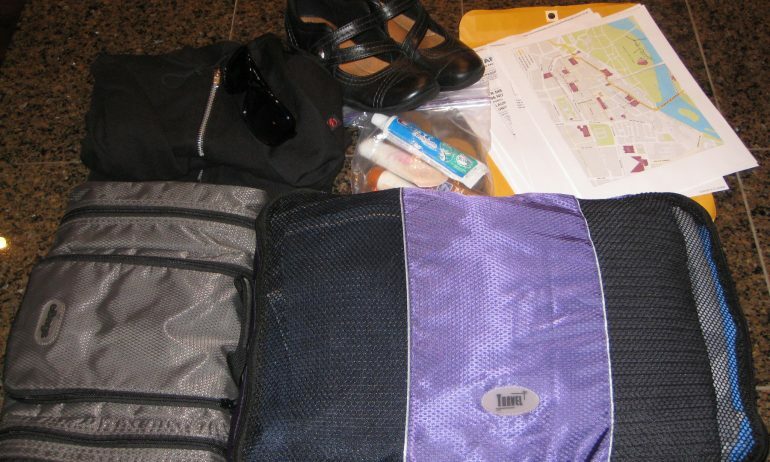 A good place to start: Identify the few must-pack items you can’t go without. Here’s how. Unlike rolling suitcases or, worse, suitcases that don’t roll, backpacks are easy to carry no matter where you’re traveling. Lynch recommends looking for a backpack with a sturdy, corrugated back, with an adjustable waist and chest straps to spread out the bag’s weight. “If you have a backpack that doesn’t have a firm enough back to it, it can be very uncomfortable to carry,” she says. “If there’s anything you think you’ll just wear once — like a fancy something you’re bringing just in case — just don’t bring it,” Addis says. She notes that instead of packing formal clothes, she takes a couple of maxi dresses instead, and dresses them up or down, depending on the occasion. Smith also says packing versatile clothing is key. “For guys, in particular, shorts that double as swimsuits are big,” he says. “There’s really no need to bring a specific pair of shorts to be your swimsuit.” For cold-weather trips, he recommends packing clothing that can be layered. “I think the hardest thing that people face when they have to pack light is that they don’t need everything,” Lynch says. “It’s OK to go on a seven-day trip and only wear one pair of shoes.” She also notes that she and her husband lighten their loads by not taking electronics or things like hair dryers or straighteners on their trips. Hotels and hostels often provide the essentials, she notes. Smith says he avoids buying bulky souvenirs. “Most people don’t want a gift you brought them from your trip,” he says. “They weren’t there. It is nice that you thought about them, but it’s so not worth the space in your bag.” He recommends sending postcards, sharing photos or making slideshows for them instead. Saving foreign currency also makes a nice lightweight souvenir, he adds. Lynch, Addis and Smith each take a similar approach to organizing their backpacks: They use packing cubes. These cubes, usually made of nylon with zipper openings and often sold by stores such as Walmart or Target, make it much easier to consolidate all your clothes into a smaller space. Plus, they keep the inside of your backpack organized so items are easier to find. Addis says she’s been using the same packing cube for five years. “It was probably the most useful $12 purchase I’ve made in my packing-light career,” she says. Traveling for a month? You don’t need to bring 30 outfits. Instead, just wash the clothes you pack. On a recent trip to a resort in the Maldives, after two-and-a-half weeks of travel, Smith and his wife just washed their clothes in their hotel bathtub with some detergent, then hung them up to dry on a portable clothesline they had packed, he says. Alternatively, you may be able to pay for a laundry service while you’re traveling. It may cost more, but if traveling with a lighter bag is your top priority, it might be worth it.